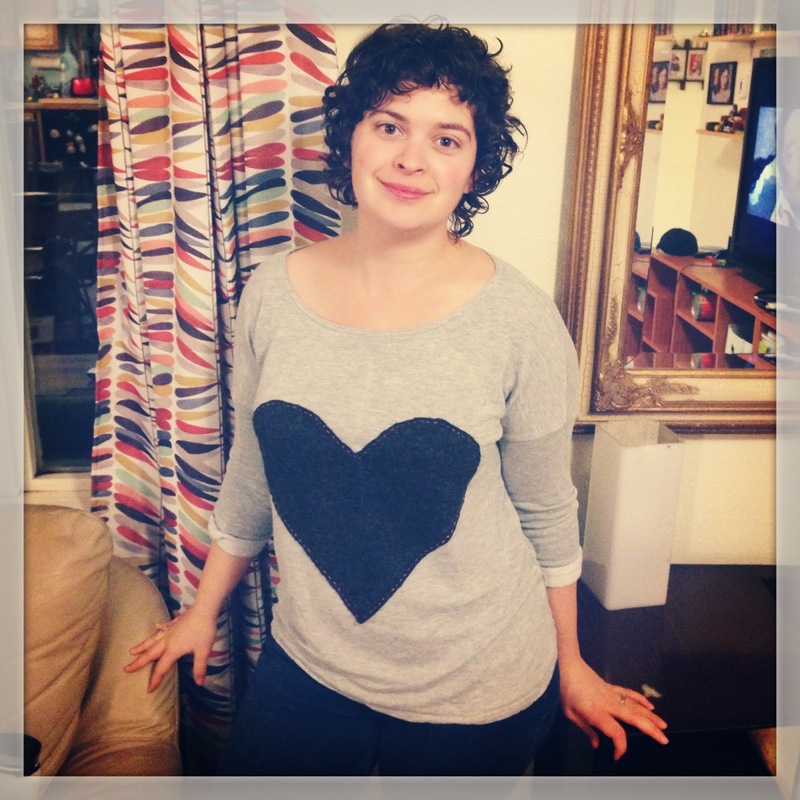 Shirts with big hearts are big right now, but despite the fad I actually think they are pretty cool. 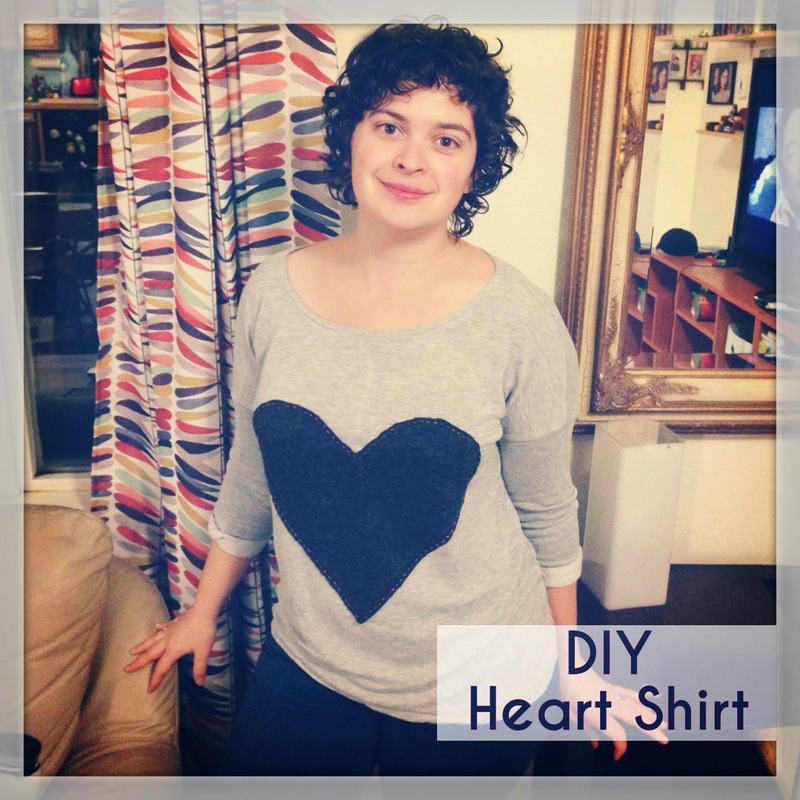 I've had a few old cashmere sweaters awaiting crafting and this was the perfect short-attention-span craft: cut out a heart, sew it on a shirt. 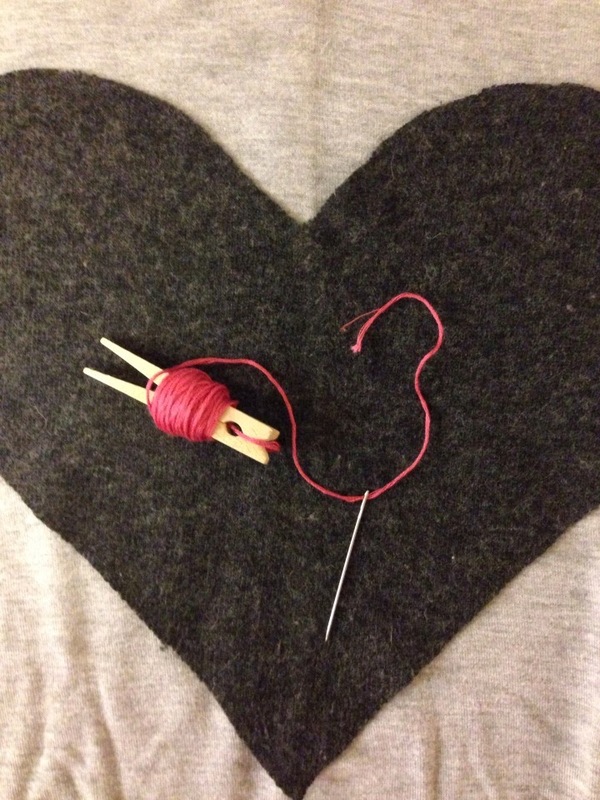 My husband had the idea of sewing on the heart with contrasting embroidery thread. It not only gives it some "pop," but it also adds more of a homemade touch. 1. Make a heart template to your liking. I just folded an 11 x 17 piece of paper in half and cut out a heart shape. 2. Place your heart template on the sweater and use chalk to trace the shape. 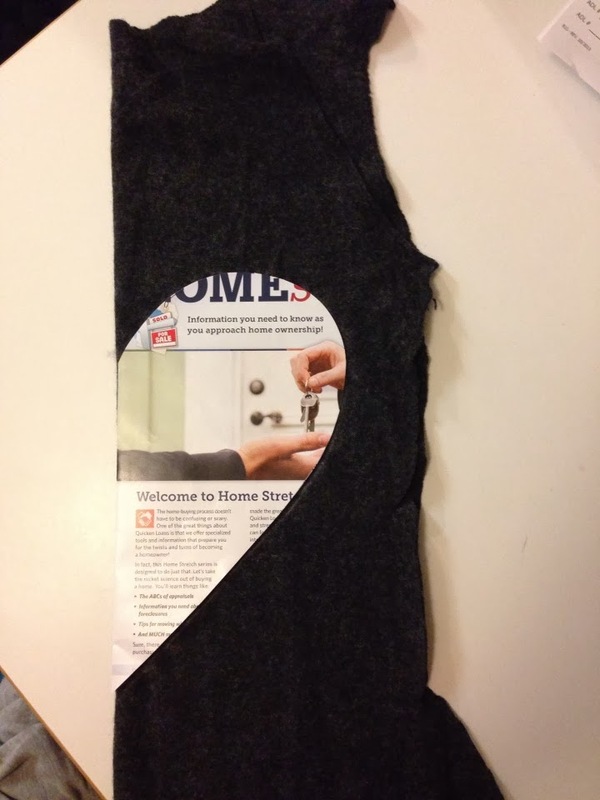 Cut your shape out of the sweater. 3. Figure out where you'd like the heart to be placed on your shirt. Cut strips of interfacing or Stitch Witchery and place them on the shirt. Lay your heart, right side up, on top of the strips and fiddle around to get everything centered and flat. 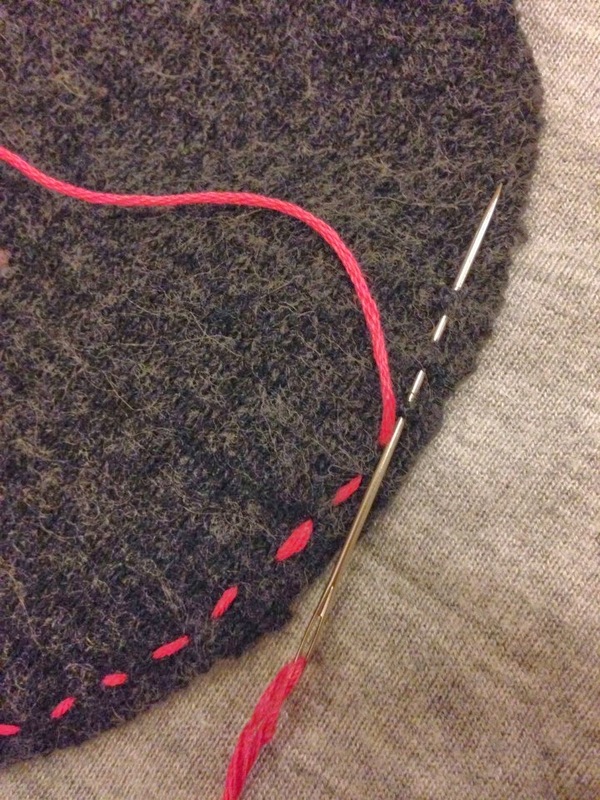 The photo below just shows where I placed the Stitch Witchery. In reality, the strips should not be facing up. 4. 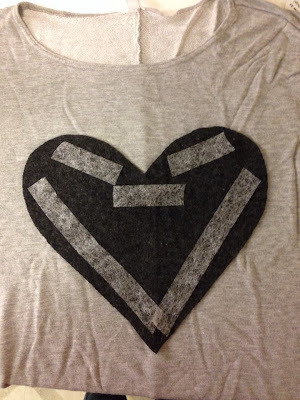 Iron the heart according to interfacing instructions, so it fuses to the shirt. This way it won't slip around when you're sewing and you won't have to worry about pins sticking you as you sew. 5. 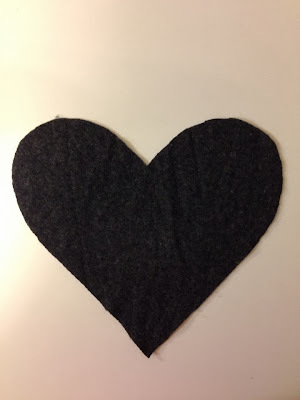 Cut a long piece of embroidery thread and straight stitch around the edge of the heart. Secure thread with a couple of knots on the inside when finished.